If you’ve found our website, it’s likely that you’re doing some research on the state of your water heater. If the system you have isn’t working as well as it did in the past, or you’ve started to experience problems that you can’t quite explain, it’s natural to question whether you should try to repair it or replace it. For this blog, we wanted to talk about to some of the sings that would point toward replacement. 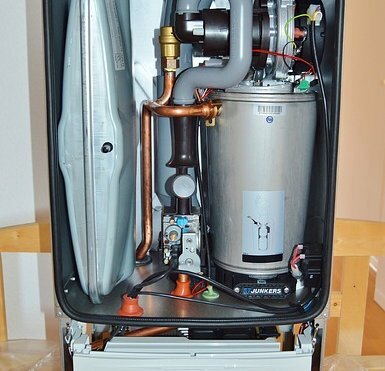 The biggest sign that you need to replace your water heater in Lakewood Colorado relates to the frequency in which you’re calling a repairman. Sure, having someone out once every blue moon can be expected, but if you’re on a first-name basis with your repairman, that’s a problem. Repairs are expensive and time consuming and at some point, you’ll need to ask yourself if the cost justification of repair is still worth the hassle. Eventually, buying and installing a new system will make more sense. Water is supposed to look clear- it’s not supposed to have a strange color. When a water heater begins to fail, you’ll likely notice that your water doesn’t look quite right. If you the color starts to seem rusty or muddy, this is a sign that the interior walls of your water heater have started to corrode. This type of corrosion can lead to sediment build-up inside the tank. You should never, ever drink water that isn’t a normal color. You may also want to reconsider using this water to launder your clothes or clean your dishes. This type of problem can’t be repaired—and if it’s something you’re experiencing, you’ll want to look into water heater replacements. Water heaters are supposed to contain water- they are not supposed to leak water. If you’ve noticed that puddles have started to form on the floor around yours, this is a problem. When this happens, you’ll want to contact a water heater repairman as fast as possible. This will ensure the problem doesn’t get worse and it will allow you to address the issue before your system experiences a complete failure. Nothing lasts forever- and your water heater isn’t any different. The average water heater will have a lifespan of about 10 years, so if what you have is getting up there in age, a replacement may be inevitable. Comfort Pros Heating & Air Conditioning does more than HVAC, furnace and AC repair. We can also help you with water heater repair and water heater replacement. Our company is licensed and insured, and we have years of experience in helping local homeowners with all types of water heater issues. For more information on how we can help you, call us today at 303-945-4319 to learn more.